“Gerhard Richter: Panorama” is a well appropriate name for this exhibition, ongoing at the Tate Modern, London. This show, in fact, is a survey about Gerhard Richter‘s body of work with rooms organised in chronological succession spanning five decades from the beginning of his carrier ending up in recent time. “Gerhard Richter: Panorama” displays a large quantity of works illustrating appropriately his talent to use different medium. His ability in mastering many different kinds of techniques is amazing. Each room focuses on a particular moment of Richter career showing how he explored a set of ideas. The works exhibited are mostly paintings but also glass constructions, mirrors, drawings, and photographs. About the difference between painting and sculpture Richter himself states in a video -interview on screening in the entrance corridor: “Painting shows what it’s not there”. “Gerhard Richter: Panorama” starts with a room dedicated to ‘Photopainting in the 1960s’ when he began to use readymade photographs as the source for his paintings. The exhibition proceed locating Richter in different environment such as his comeback to ‘The art after Duchamp’, his making of different series of ‘Damaged Landscapes’, or the ‘Grey painting and colour charts’ period. Interesting is the contrast between ‘Figuration and Abstraction’, room 5, a period that led to ‘Exploring abstraction’, room 6, and to ‘Genre painting and early squeegee abstracts’, room 7, a technique Richter will bring to the highest levels. The evolution of his work could be seen in room 8 ‘Landscapes and portraits’ which proceed in ’18 October 1977′, room 9, dedicated to phenomenon of the terrorism of the Red Army Fraction, also known as the Baader -Meinhof group. But his work with non figurative art keeps on and room 10 ‘Abstraction in the 1990s’ show some masterpieces. 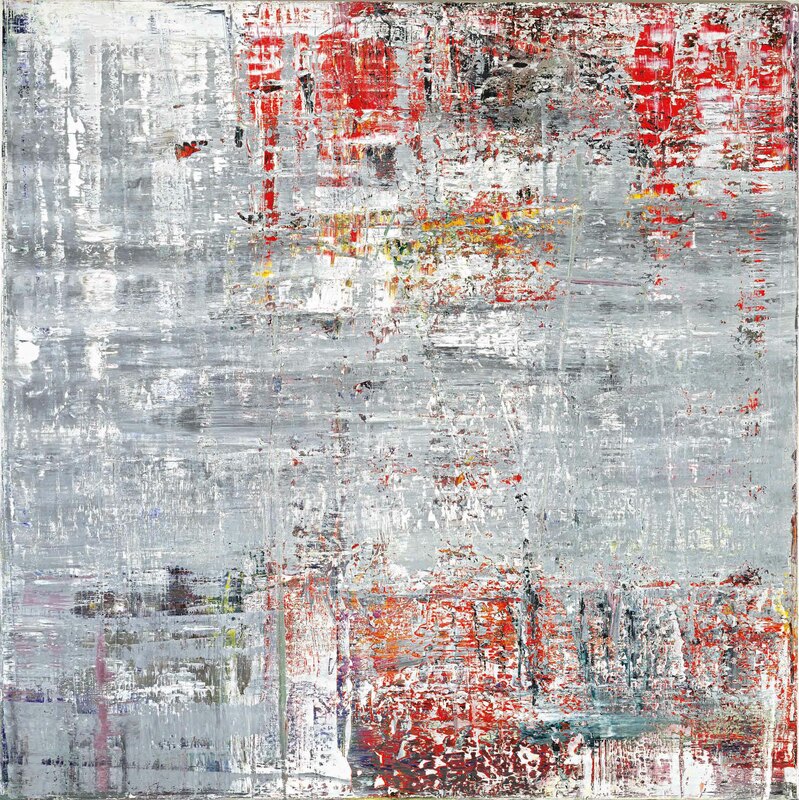 Room 11 ‘Questioning painting’ highlights that Richter has used various media as a part of his ongoing enquiry about conventions, materials, public and private roles of painting. There is also a free entrance additional room ‘Cage’ external to the exhibition which reserves a surprise with monumental works. Gerhard Richter was born in Dresden in 1932 and moved to Düsseldorf, West Germany in 1961. He was founder with Sigmar Polke and Konrad Lueg, of the group ‘Capitalistic Realism’. In 1999, he installed ‘Black Red Gold’ in the foyer of the Reichstag in Berlin. The window he designed for Cologne Cathedral was completed in 2007. Richter lives and works in Cologne. “Gerhard Richter: Panorama” is curated by Nicholas Serota, Director, Tate Modern, and Mark Godfrey, Curator, Tate Modern with Amy Dickson, Assistant Curator, Tate Modern, with colleagues in Berlin and Paris. The exhibition will also be organised at the Staatliche Museen zu Berlin, curated by Udo Kittelmann and Dorothee Brill, and the Centre Pompidou, Paris, curated by Alfred Pacquement, Camille Morineau and Lucia Pesapane. Supported by The Eisler Foundation, The Richter Exhibition Supporters Group and the American Patrons of Tate.